Good Question: Why don't operators always use bus-only shoulders? This week’s Good Question comes in response to customers who frequently ask why bus operators sometimes choose not to use bus-only shoulders to avoid traffic. Customers who rely on Metro Transit enjoy several advantages – avoiding gas and parking costs, reducing their environmental impact and the ability to sit back and relax while a professional does the driving. 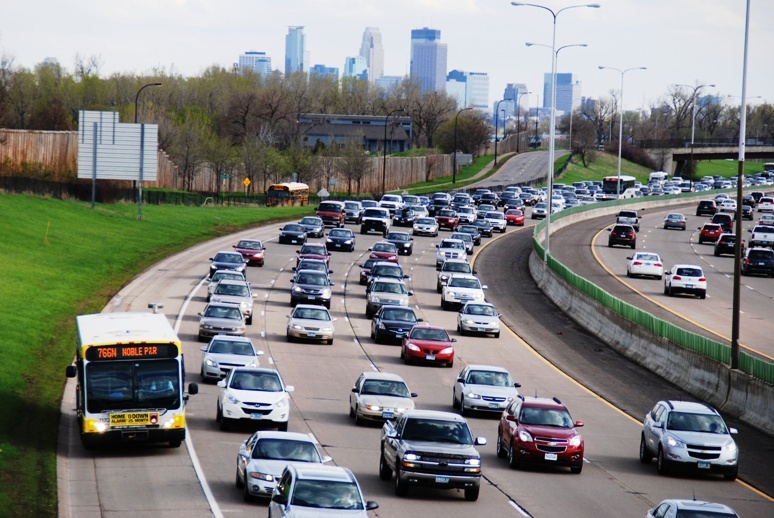 Another benefit to those taking a bus on busy highways and interstates: avoiding traffic (Twin Cities commuters spend more than 21 percent of their time in congestion, according to the Minnesota Department of Transportation's latest Congestion Report). Metro Transit’s buses use MnPASS Express Lanes on I-35W and I-394 to avoid congestion coming into and out of downtown Minneapolis, a benefit that will soon extend to I-35E north of downtown St. Paul. More than half of Metro Transit’s routes also have access to 300-plus miles of bus-only shoulders that can be used during periods of heavy congestion. These bus-only shoulders don’t look visually different from other shoulders but are specially built to accommodate the extra weight and width of a bus. > Road conditions. Sinking drain covers, potholes or other road defects can interrupt the use of bus-only shoulders. > Weather. Heavy snow, slush and ice must be adequately cleared to allow for safe use of a bus-only shoulder. > Obstructions. Road debris, stalled motorists and construction vehicles are unavoidable obstacles that prevent the use of bus-only shoulders. > Traffic. Bus-only shoulders may only be used when traffic has slowed to less than 35 miles per hour (the max speed is 15 miles per hour greater than traffic, with a maximum speed of 35 miles per hour). > Other vehicles. Extra-wide vehicles in mixed-traffic can prevent the use of bus-only shoulders because of clearance issues. Emergency vehicles also take priority on shoulders. Bus operators are specially-certified before driving to routes with bus-only shoulders. And while many operators elect to use the shoulders, the decision to use them is entirely up to the driver based on conditions and their professional judgment. Ultimately, safety comes before speed. Metro Transit operators have a proven record of knowing when and how to use bus-only shoulders. Since the use of bus-only shoulders began in 1991 there have been no major responsible accidents.